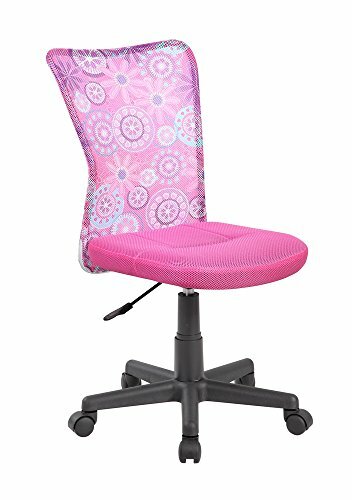 This pink flower desk chair is especially designed for kids and students. With brighter color, beautiful pattern, solid structre, this chair is definitely a good choice when preparing a gift for your kids and friends. Task chair with strong 5 castor-wheel Chrome base lead 360 Degree Swivel. If you have any questions about this product by Anji EuroStile Furniture, contact us by completing and submitting the form below. If you are looking for a specif part number, please include it with your message.